Bruno Senna is set for an emotional return to the Goodwood Festival of Speed, with a special drive of his uncle’s McLaren MP4/4. Widely accepted as one of the greatest Formula One cars of all time, the MP4/4 dominated the 1988 season, winning 15 of out of the season’s 16 races. 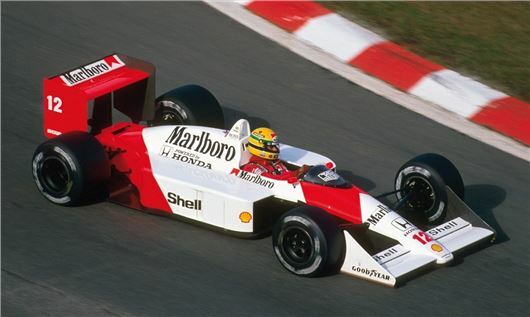 Powered by a turbocharged Honda V6, the McLaren carried Ayrton Senna to the first of this three Formula One World Championships. Bruno Senna will be taking to the wheel of his uncle's car on Saturday and Sunday as part of a special Honda display, which will also see the UK debut of Civic Type R and NSX Concept models, ahead of their launch in 2015. Touring car legend Gabriele Tarquini will also be in action at Goodwood, behind the wheel of the RA272; the iconic car in which Richie Ginther (pictured below) scooped Honda's first Formula 1 Grand Prix victory in Mexico in 1965. Tarquini is currently driving for the 2013 Championship-winning Honda WTCC team.